Here are some recent accomplishments by our talented students and faculty, as well as recent recognitions for University of Redlands’ programs, operations, and staff. Business Administration major Jacob Mara ’19 was selected as one of 30 undergraduate and graduate students statewide to attend the California Future Leaders Summit, sponsored by Campus Compact. The next conference will be held Irvine in January, providing access to valuable tools, resources, and networking opportunities designed to amplify the effectiveness of the next generation of leaders in the state of California. 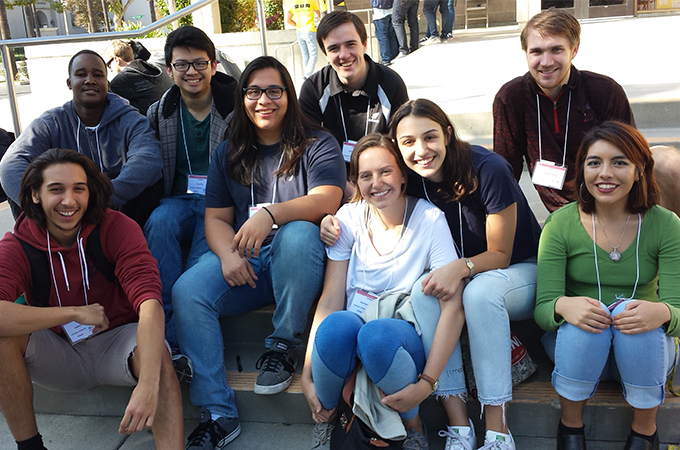 U of R computer science students sit on the Riverside City College steps after competing in the Southern California Regional for the Association for Computing Machinery (ACM) International Collegiate Programming Contest (ICPC). Three U of R student computer science teams participated in the Southern California Regional for the Association for Computing Machinery (ACM) International Collegiate Programming Contest (ICPC) at Riverside City College last month. More than 100 teams of three students each from various colleges around the region participated in the multitier, team-based, programming competition. One of the U of R teams—whose members included Gabriel Celaya ’20, Huy Chu ’18, and Jean Baptiste Kwizera ’20—solved two problems successfully and made the rankings of the top 50 teams. Coached by U of R Mathematics and Computer Science Professor Pani Chakrapani, the student participants also included: Jonathon Seton ’19, Chris Garcia ’19, Tara Ippolito ’19, Erika Tirado ’18, Summer Stafford ’19, and Christopher Bonney ’18. The University of Redlands Trombone Choir was accepted by competitive audition to perform at the 2018 International Trombone Festival held at the University of Iowa in July. The choir will be premiering a new piece written by Alex Ehredt ’18, a School of Music graduate student. Mentored by School of Music Dean and Professor of Trombone Andrew Glendening, members of the group include Andrea Massey ’18, Joel Rangel ’16, Jonathan Heruty ’20, Michelle Reygoza ’ 20, Marcelo Aguinaga ’20, Ihab Hamideh ’21, Allysa Hannawi ’21, Esmeralda Gilman ’21, and Nicholas Bingaman ’21. 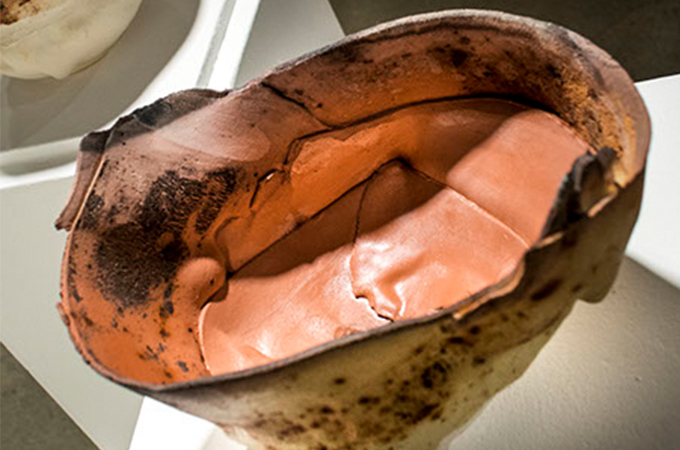 U of R Art Professor Raúl Acero won the President’s Office Purchase Award for his piece "Recuerdos 2," pictured here, at the recent Ink and Clay exhibition at Cal Poly Pomona. U of R Art Professor Raúl Acero won the President’s Office Purchase Award for his piece Recuerdos 2 at the recent Ink and Clay exhibition at Cal Poly Pomona. This national competition, established in 1971, features professional artwork in printmaking, drawing, ceramic ware, clay sculpture, installation and mixed “ink” or “clay” media. The President’s Award is selected by the Cal Poly University President for inclusion in the University permanent collection. School of Education Associate Dean Hideko Sera was elected this month to the American Psychological Association's Board of Educational Affairs, which governs one of the organization’s four directorates. The Board of Educational Affairs recommends to the Board of Directors and Council of Representatives changes to programs and operational priorities to enable APA to take a leadership role for the nation in the educational arena from high school to post-graduate education through continuing education. Matters such as APA accreditation for nation's doctoral programs and pre-doctoral internship as well as APA's government relations fall under the Board of Educational Affairs. APA has approximately 117,500 members, and the Board of Educational Affairs consists of 12 elected members from around the country. U of R School of Education Dean Andrew Wall has been named Ball State University Teacher’s College Alumni of the Year. Faculty from the College nominated him for the award and are hosting his visit to talk with students, alumni and friends of the College. Wall, who earned his master’s degree from Ball State, will travel to his alma mater in early January to receive the award. The University of Redlands was selected by college guidance system Abound as a Top Degrees Grad School 2018 and Top Degrees Adult Undergrad 2018. U of R’s School of Business and School of Education earned the designations based on the quality, accessibility, and affordability of their educational offerings for degree-seeking adults. 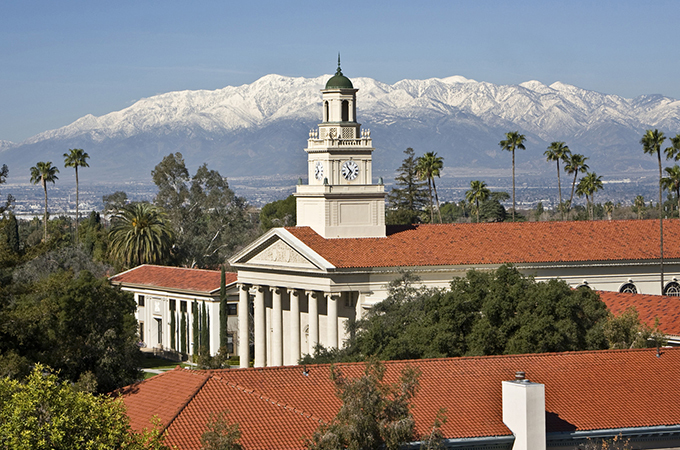 As reported by Three + One, a municipal management services company, the University of Redlands earned a “cashVest® score” of 97 out of 100—the only institution that scored above 95 out of thousands of public and private institutions analyzed throughout the United States. A cashVest® score represents the health of an institution’s cash flow coupled with the optimization of cash available for investment. In a Student Loan Report study using Department of Education data, the University of Redlands was ranked in the top 8 percent—#146 among 1,900 U.S. colleges with 500 or more students carrying student loan debt. A low default rate means students are graduating and handling their student loan debt successfully, a testament to the affordability and quality of a school’s programs. Who should we mention in our next Kudos Corner? Email your suggestions to bulldogblog@redlands.edu. Bulldog Athletics highlights will be covered in a separate post.